A while back when I had my Serro Scotty Hilander, vintage 2010, I decided the fall after it was built that I’d pull off the Chinese made bias play tires that were on it. 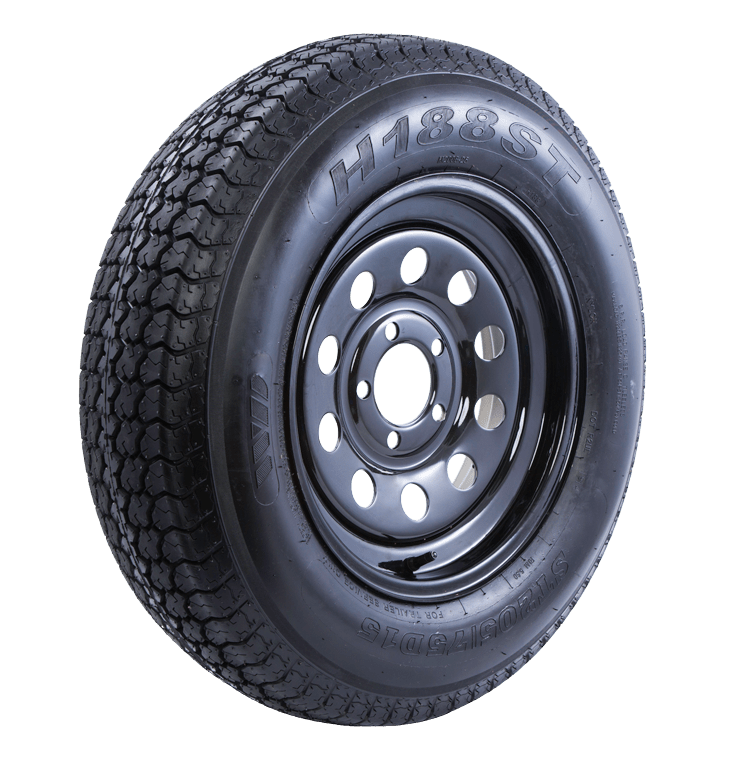 I had read online so many issues with “China Bombs” as most Chinese built trailer tires were called, that I felt for peace of mind that I’d invest money into the best tire I could find. The tire that came on it from the factory was an H188ST bias ply by Tredit Tire…made in China. Most RV manufacturers like to put as little money into components as they can to help keep production costs down, which I think we all understand, albeit a hard pill to swallow as consumers. Once I started reading several RV forums about tires and blowouts, I soon found that I was educating myself pretty well. I decided one night to inspect the tires on my Scotty and noticed on one side wall there was a nick. That was enough of a red flag for me to get more serious about getting a new set of tires for my 3 month old trailer. That is, GOOD tires. After a good week scouring the internet, the consensus was two choices: Goodyear Marathons (the ones made in America – not China), and Maxxis. Although Maxxis is made in Thailand, they had an excellent reputation in the industry and did their job: they didn’t blow out. This was about the time that Goodyear sent production of their Marathons over to China, and reports were already online of Chinese Marathon failures (blowouts) in some cases with just a couple thousand miles logged on the tires. I went with the Maxxis, and it was an excellent (and only) choice I could’ve made. The Scotty tracked much better behind my truck than it ever did with the bias ply tires. I had those Maxxis on it some 4+ years with no signs of wear when I sold it in 2015. 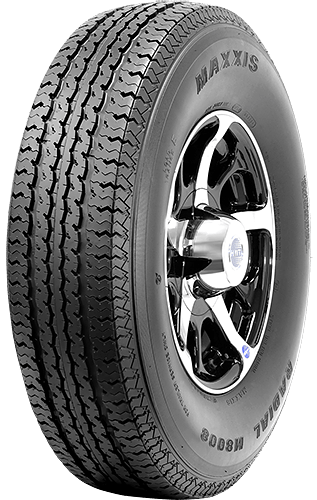 I was sold on Maxxis and highly recommended anyone searching for a replacement trailer tire to make Maxxis their choice with confidence. And I still feel that way today. A scuff guard, which helps protect sidewalls. One big reason for the confidence that consumers should look forward to is that the Endurance is built right here in the United States. For years, RV owners have chastised…and rightly so…tire manufacturers for sending production overseas where it is felt quality control is lacking, thus causing the many tire failures that foreign made tires are noted for. 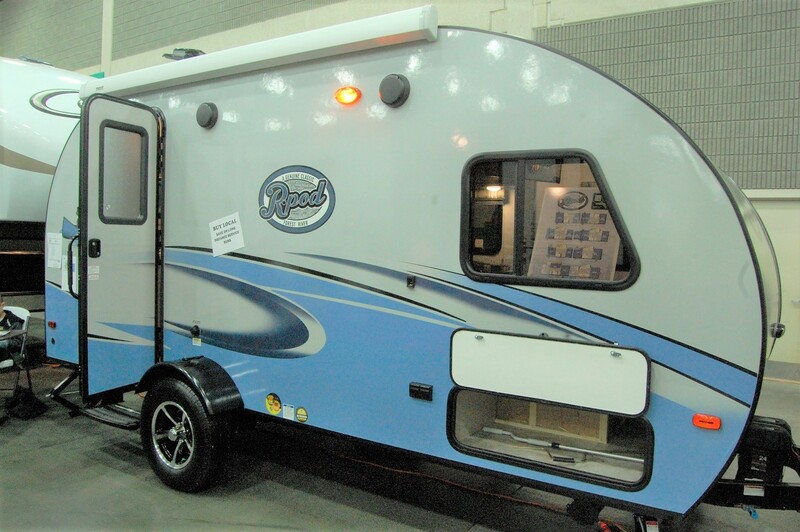 But the Endurance will be made in the U.S., which should bring some comfort to the majority of RV owners who are savvy about their tires. 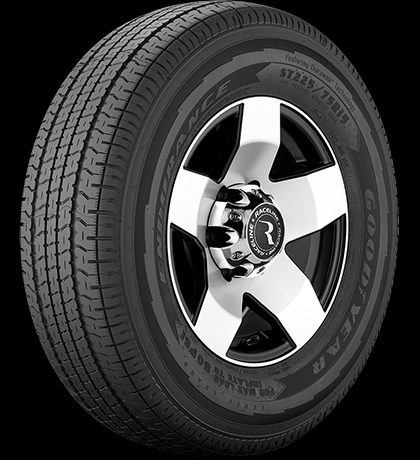 Jayco has already announced that all of its products will leave the factory on Goodyear Endurance tires, so the industry is starting to listen to what consumers have been wanting for quite some time: an American made tire on their RV instead of something that they’ll need to replace in a couple of thousand miles. For those reading who think a tire is just a tire, look at it this way. Most of your small trailers that I cover on this page are going to be single axle trailers. It’s even more critical for owners of single axle trailers to have the most reliable tire on their trailer that money can buy. Why? In the even of a blowout, a single axle trailer can put you in a compromising position especially if on the highway at highway speeds. However if your trailer is on a twin axle and have a blowout, you still have three tires on the ground, and instability will be less of a factor than a blowout on a single axle trailer, leaving you with just one tire on the highway at highway speeds. That’s why tire safety is one of my biggest “causes” I like to preach. It’s worth spending an extra $200 or so to have an excellent set of radial trailer tires on your trailer. After all, the trailer that’s sitting on top of your tires is in the thousands of dollars, so isn’t a cheap investment in a quality tire that you can reduce the risk of catastrophic failure worth it? It’s a cheap insurance policy and smart money spent. So when looking at new tires, do your research, ask questions, and make a good educated decision. Hopefully after reading this you know what my choice would be, but with the Endurance now on the market, you know what my choiceS would be.